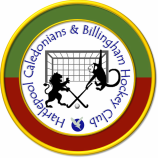 Created by the merger in 2015 between Hartlepool Caledonians  & Billingham  Hockey Clubs, two of the longest serving clubs in the Durham County Hockey Association area. The club has men’s, women’s and junior teams. Here you can find out all the latest news, results, training information and find out how to join the club. Get into hockey! Click on the poster for full details.